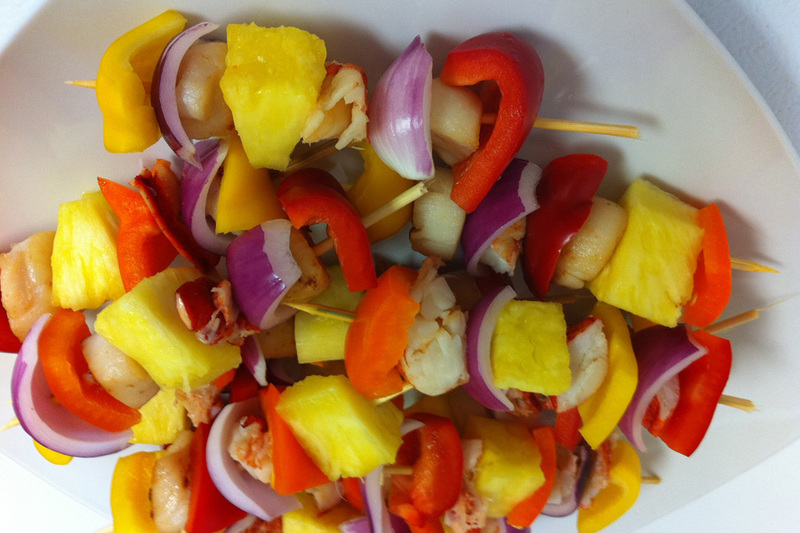 Using long skewers, alternate the shellfish, vegetables and fruit until skewers are filled. Prepare sauce by combining the soy sauce, salad oil, lemon juice, dried parsley and salt. Pour over the kebobs and allow to marinate for 30 minutes. Place kebobs on a greased grill about 10cm (4 inches) from the hot coals. Heat on each side for two to three minutes, basting frequently with sauce.